In their own way, a lot of miniature golf courses—with their twisting layouts, devious obstacles, and over-the-top designs—can be considered art. Even if their sole purpose is to encourage tourists to pay to knock a ball around. 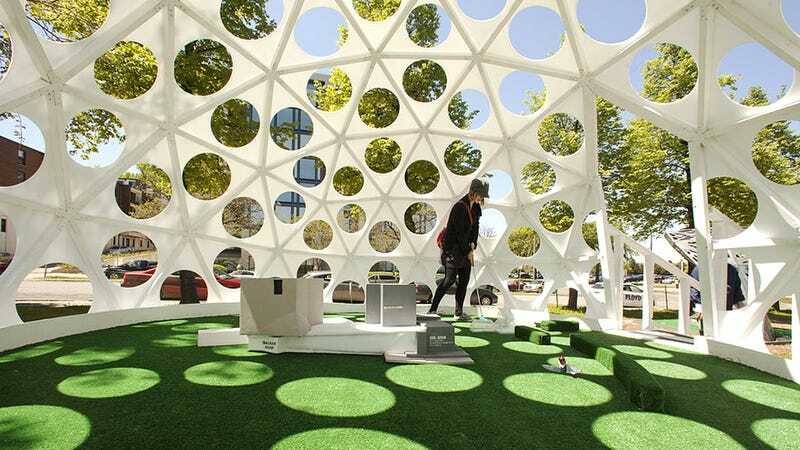 But this spring the Walker Art Center and the Minneapolis Sculpture Garden decided to join forces to take the idea of minigolf as art even further by hiring artists, architects, engineers, and students to design the museum's annual artist-made minigolf course, Walker on the Green.